As early as today, boxing fans and the rest of the world accounts for the March 13(March 14, in the Philiipines), WBO welterweight (147 pounds) title defense by seven-division champion Manny Pacquiao of the Philippines against Ghanian-born Bronx resident Joshua Clottey "Road to Dallas"at Cowboys Stadium in Arlington, Texas. In terms of publicity and videos available, given that it is being promoted by Top Rank and is being televised on HBO pay-per-view, it is expected that Online Live Streaming would be available for home internet viewers and 24/7 video coverage. To the locals in Cebu (and even parts of the country), Hotels, Restaurants, Resorts and Open Venues cater Manny Pacquiao VS Joshua Clottey PayPerview in addition to their regular services. As low as Php100.00 you can now enjoy these Manny Pacquiao VS Joshua Clottey Live Telecast for the Fight with the roaring crowd for Manny Pacquiao. To those who choose to stay at home, Several AM and FM Stations will update you with the instant results minus the picture. Manny Pacquiao, 31 yrs old, who has been named Fighter Of The Decade, is 50-3-2, with 38 knockouts, including a record of 18-1-2, with 15 knockouts under four-time Trainer Of The Year Freddie Roach. A three-Time Fighter Of The Year, Pacaquiao has an 11-match winning streak that includes eight knockouts coming in against the 32-year-old Clottey, who is 35-3, with 20 knockouts. 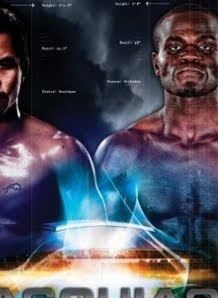 0 comments: on "Manny Pacquiao VS. Joshua Clottey Fight 24/7 and online Live Streaming"